Sherry joined Mitacs in the summer of 2014 with a PhD in Analytical Chemistry. As a new international student attending Graduate School, she took the opportunity to participate in Step workshops and applied for an Accelerate internship. Sherry heard about the opening for a Business Development Specialist at Mitacs. Having strong people skills, she found that the job description was a great fit for her communication talents as well as her research curiosity. She contacted her local Mitacs Business Development Director, and they met over coffee to discuss what this role entailed. Convinced that this would be a great opportunity for her, Sherry applied for the position and was offered a 1 year contract. During this year, Sherry received on-the-job training and mentoring from senior team members, and honed her business development skills by meeting with local researchers and companies. She is now the Director of Business Development in Metro Vancouver, where she continues to be a valued Mitacs team member. Our values motivate everything we do and all the decisions we make. Read more about our values here to get a better understanding of Mitacs prior to applying. Mitacs fosters a culture where creativity and innovation is valued and encouraged. We offer a comprehensive benefits package and a team based work environment. Mitacs values the contributions of a diverse workforce and is an Equal Employment Opportunity employer. 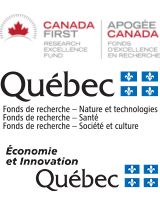 Click here for job positing and application information in French and English.